After years of wearing earrings, earlobes begin to deflate and droop and piercings go from small round holes to slits. 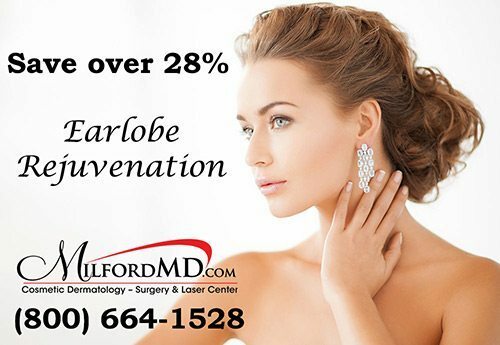 For a limited time, save more than 25% on earlobe rejuvenation at MilfordMD. Soft tissue fillers, including hyaluronic acid fillers, were among the top five minimally-invasive procedures performed in 2015, according to statistics by the American Society of Plastic Surgeons. 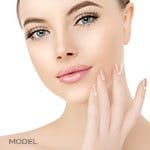 These fillers, including Restylane products, Juvéderm and Belotero, ranked second, after botulinum toxin type A injections (including Botox, Dysport and Xeomin), and popularity for dermal fillers is climbing steadily, increasing 6 percent from 2014 and up 274 percent since 2000, according to the American Society of Plastic Surgeons. “We spend so much time focused on using fillers to improve the face that other areas, such as the ear lobes, the neck, the chest and the backs of the hands, tend to take a backseat,” Dr. Buckley says. “I know how effective fillers can be off the face. It’s time to let more patients know.” After years or decades of wearing earrings, earlobes begin to deflate and droop. And piercings go from small round holes to ear slits. Like areas of the face, earlobes can even form wrinkles. Hyaluronic acid fillers can address all those areas by adding volume to the lobe. In only a few minutes in the office, Dr. Buckley can rejuvenate earlobes using hyaluronic acid fillers. He may use a little numbing cream to ensure patient comfort, although it is a very comfortable procedure without any numbing. There’s no downtime or pain post procedure. Patients can wear their earrings right after, or even during, the procedure. And results last up to a year. Sculptra Aesthetic is injectable poly-L-lactic acid–a biocompatible and biodegradable material used safely for decades not only as a cosmetic filler, but also in resorbable stitches. It works over time to replace lost collagen, helping to correct wrinkles and deeper lines. For a limited time this New Year, patients at the MilfordMD Cosmetic Dermatology Surgery & Laser Center can save more than 25 percent, or $200, on earlobe rejuvenation. The offer is valid through February 28, 2017. 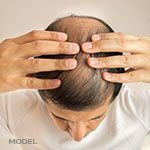 For more information on the special, call the MilfordMD Cosmetic Dermatology Surgery & Laser Center at (800) 664-1528.